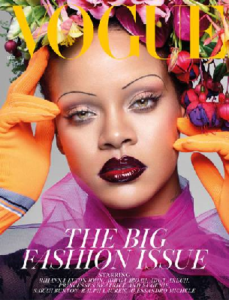 Rihanna, the pop icon and all-round mega-successful phenomenon in music, fashion, beauty and charity worlds has been on the go singing since she was fifteen and appears to have an impossibly busy life. Into which she has packed an on-off relationship with Chris Brown (of the infamous punch up way back when) and now the Saudi Toyota heir Hassan Jameel, who is even wealthier than she is. 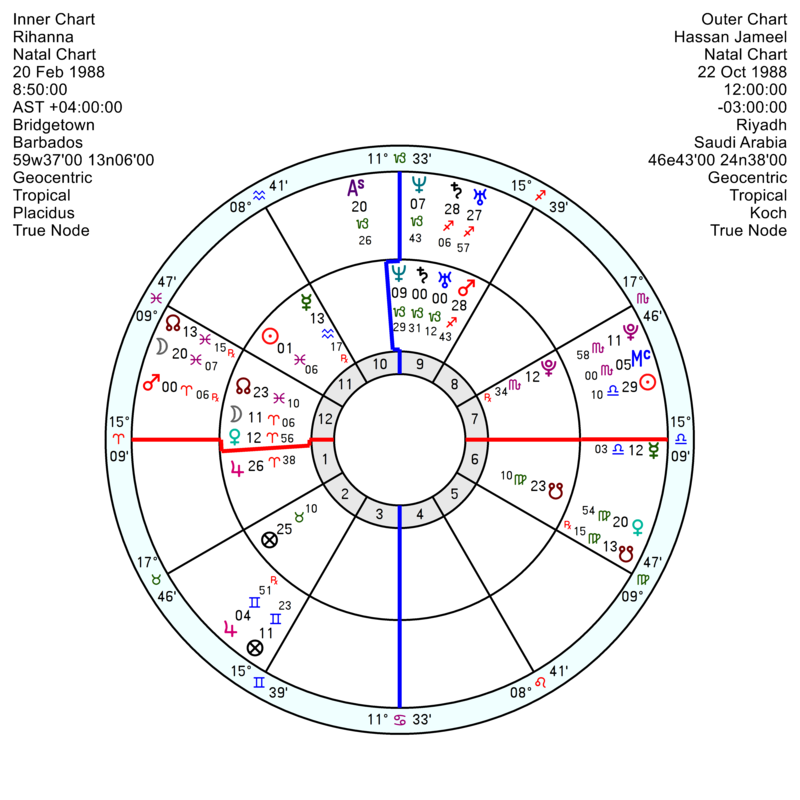 Born 20 February 1988 in Barbados, maybe 8.50am (astrotheme) she’s fittingly a Sun Pisces which is sextile Uranus Saturn in Capricorn and Mars in late Sagittarius so go-ahead, excitable, serious, hard-working, innovative, at times autocratic. 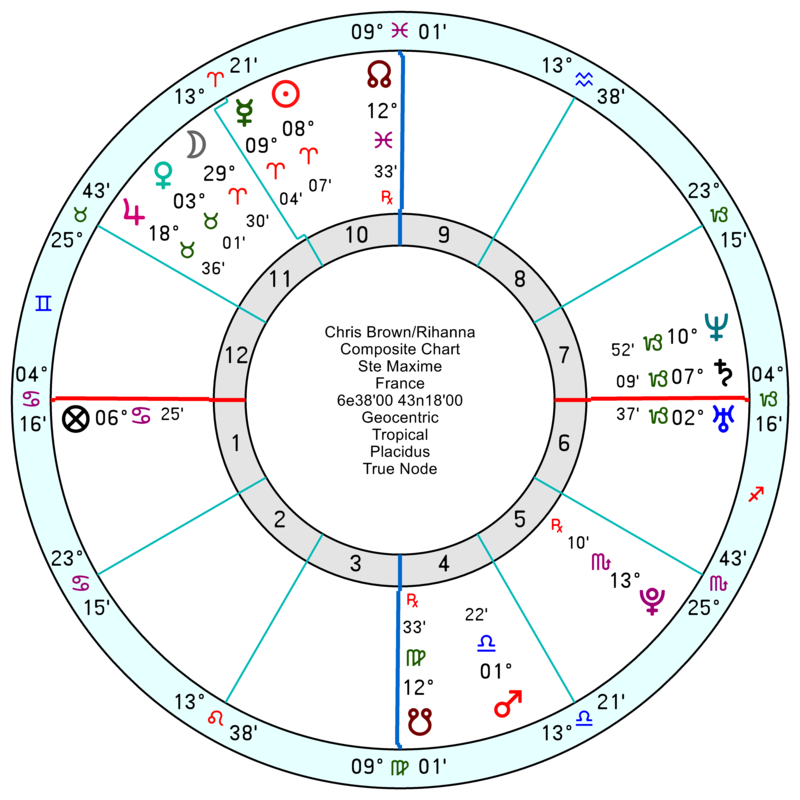 Her Neptune in Capricorn is square her Venus (Moon) in Aries. Her creative 5th and 7th Harmonics are notable. 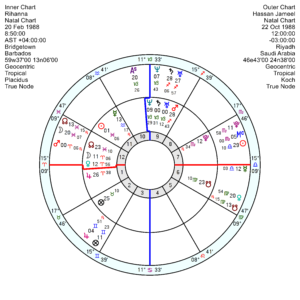 Hassan Jameel, 22 October 1988 (net sources) if accurate is a last degree Libra Sun with a Pisces Moon. 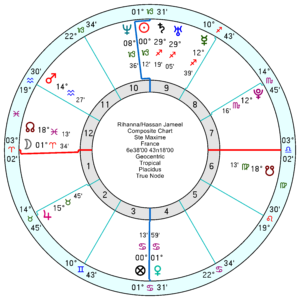 His Jupiter squares her Sun for a relaxed interface; but his Saturn Uranus in late Sagittarius are conjunct her Mars which would be scratchy if they were together 24/7. But given their separate busy lifestyles, it may not, in the short-term, cause too much trouble. 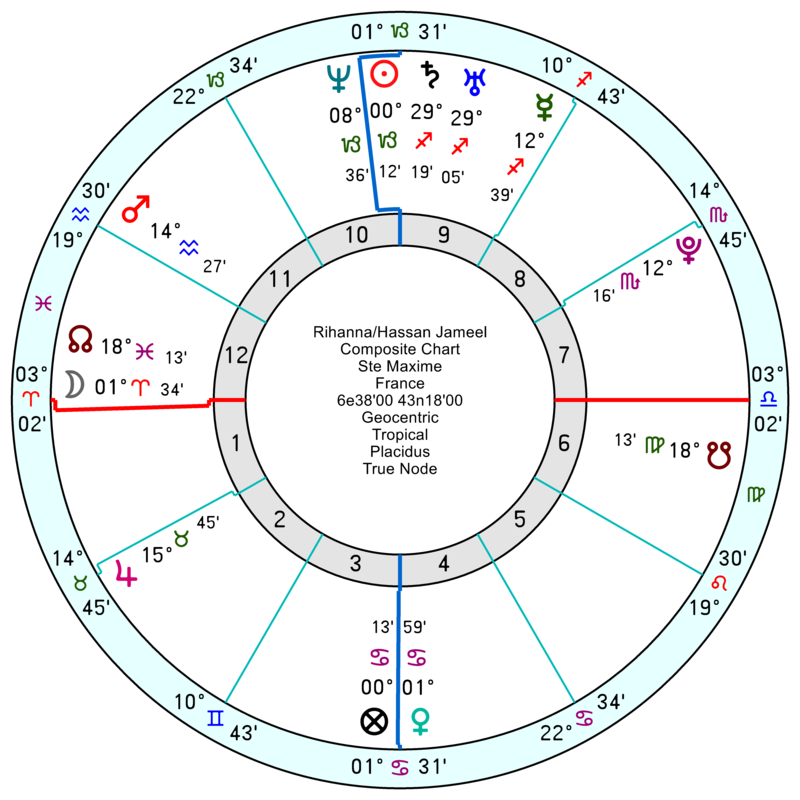 Their relationship chart has an ethereal, romantic, but unrealistic Sun Neptune opposition Venus maybe square Moon; with a power-couple Pluto opposition Jupiter square Mars, which is one of those aspects that may start well and end up in a push n’ pull for the upper hand. It’s a softer relationship than she has with Chris Brown which is quite aggravated and likely to flare up with a composite Sun Mars square Uranus Saturn Neptune. They also have Mars square Pluto in their composite, so a piece of her old pattern is still there..